Dawn Publications (CA), 9781584696384, 32pp. A little bird, a big sky, and the first time out of the nest A robin's first flight is a gentle reminder about what we can accomplish if we just keep trying. 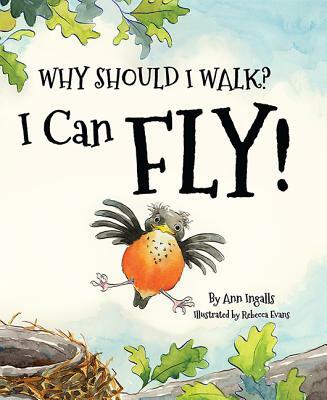 As reviewer Sue Lowell Gallion says, "Children (and parents ) experiencing the many firsts of growing up will relate to this lively story of a young robin learning to fly. Playful, rhyming text and winsome water color illustrations give readers a birds' eye view of he baby birds' emotions and adventures on its way to solo flight.